Bromine trifluoride is a toxic interhalogen compound. 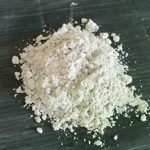 It is known for its uses as a strong fluorinating agent. 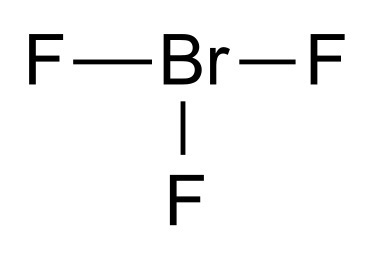 The chemical formula for this interhalogen compound is BrF3. Another way of producing Bromine trifluoride is to simultaneously reduce and oxidize Bromine monofluoride. This reaction produces Bromine trifluoride and bromine. Bromine trifluoride is composed of 58.367% of bromine and 41.632% of fluorine. It is a straw-colored liquid. The chemical has a pungent odor. It is a hygroscopic liquid. The molar mass of Bromine trifluoride is 136.90 g/mol. 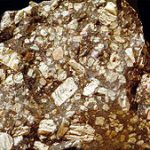 The monoisotopic mass of this substance is 135.913547 u (unified atomic mass units). The density of the substance is 2.803 g/cm3. The melting point of Bromine trifluoride is 8.77°C. The boiling point of this substance is 125.72°C. Due to autoionization, the liquid is a good conductor of electricity. It is a corrosive liquid. The specific gravity of Bromine trifluoride is 2.81 at a temperature of 68.0°F. The molecular dipole moment of this substance is 1.19 Debye. Bromine trifluoride is soluble in sulfuric acid. It decomposes and explodes when it comes in contact with organic compounds and water. Reactions with hydrogen-containing compounds can cause violent reactions. Many ionic fluorides easily dissolve in Bromine trifluoride and form solvobases. Apart from the above mentioned properties, Bromine trifluoride is also a powerful fluorinating agent. The Lewis structure of Bromine trifluoride shows that it has a T-shaped molecular structure. According to VSEPR theory of molecular formation, the central bromine is connected with two electron pairs. Distance between the bromine center and the equatorial fluorine is 1.72 Å and to each of the axial fluorine is 1.81 Å. The angle between the equatorial fluorine and an axial fluorine is 86.2°. The angle is kept slightly less than 90° as the force of repulsion from the Br-F bonds is lower than the force of the electron pairs. Bromine trifluoride on reaction with metal oxides gives out oxygen. When Bromine trifluoride reacts with silicon dioxide, it produces gaseous silicon tetrafluoride and bromine. In a reaction between Bromine trifluoride and titanium(IV) oxide, titanium(IV) fluoride and bromine are produced. Bromine trifluoride is a strong ionizing inorganic solvent and a fluorinating agent. It is also used for manufacturing uranium hexafluoride (UF6) while processing and reprocessing nuclear fuel. Skin contact: Skin contact with this chemical can lead to burning and irritating sensations. Eye contact: If the eyes come in contact with the chemical vapors or the chemical itself, it can lead to severe burning of the eyes, ulcers and even blindness. Ingestion: Ingestion leads to severe burning of the mucous membranes. Inhalation: Inhalation can lead to severe irritation of the upper respiratory system. Eyes: The eyes need to be thoroughly washed with plenty of water for at least 15 minutes. A doctor needs to be consulted immediately. Skin: If the skin gets in contact with the chemical, the infected areas should be washed well with water and soap for a minimum of 15 minutes. Immediate medical attention is required. The contaminated clothing needs to be removed quickly. The clothes should be thoroughly cleaned and dried before reuse. The contaminated shoes should be destroyed. Ingestion: In case of an accidental ingestion, the victim should drink plenty of water. Inducing vomiting is not recommended. Inhalation: In case of any adverse effects, the victim should be taken to an uncontaminated area. Artificial respiration needs to be applied in case the victim is not breathing. If breathing and respiration is still difficult, oxygen should be administered. Further medical assistance is required to ensure safety of the victim. Bromine trifluoride is a highly reactive oxidizing agent. It reacts violently when it comes in contact with water. It can accelerate the burning of a combustible substance. When it comes in contact with hydrogen-containing substances such as acetic acid, ammonia and methane, it can cause an explosion and fire. It also reacts violently with acids, halogens, metal halides, metals and metal oxides at room temperature. 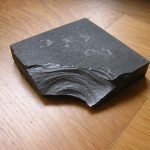 It specifically causes dangerous reactions with nitric acid, sulfuric acid, iodine and selenium. 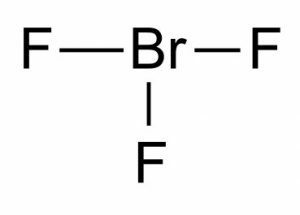 Bromine trifluoride is an oxidizing agent and so it can ignite or explode when it comes in contact with combustibles. In case of large fires, the area should be isolated and flooded with water from a safe distance. If containers storing Bromine trifluoride are near fire, they should be removed if it could be done safely. The containers should be cooled with flowing water even long after the fire has been extinguished. Fire Extinguishing Media: Proper fire extinguishing media needs to be used while putting off fire. Usage of water, dry chemical or soda ash is recommended for extinguishing fire. The combustible materials should be isolated and any connection with them should be avoided. The spilled material should not be touched. Chemical leakage should be stopped if it is possible to do so without personal risk. Prevalence of chemical vapors should be reduced with water spray. Care should be taken not to get water inside the chemical containers. For large spills, the chemicals should be quarantined for being disposed off later. The area should be ventilated properly. Handling of this material is subjected to handling regulations under U.S. OSHA 29 CFR 1910.119. The chemical should be stored and handled according to the current standards and regulations of NFPA 430 Code for the storage of Liquid and Solid Oxidizing Materials. The chemical containers should be protected from any kind of physical damage. They should also be kept away from any incompatible substances. MSHA/NIOSH (approved or equivalent) self-contained breathing apparatus having pressure-demand oxygen masks is required for proper respiration. OSHA-approved protective eyewear or safety goggles are required to protect the eyes. To protect the skin from harmful infections resulting from chemical contact, protective clothing and gloves should be used. Apart from the above mentioned protection gear, the area should also be well ventilated. The ventilation mechanism should be resistant to explosions in case explosive concentrations of the chemical are present. A local exhaust system should also be provided.